The latest portal from TimesJobs aims to connect the employers seeking frontline staff with verified job seekers. This mobile-ready site boasts of many 'first of its kind features for this category' such as directly connect with recruiters on call and a geo-map based job search facility for candidates to connect with nearby recruiters. PocketJobs is a platform that connects grey collar job seekers and employers. It is promoted by The Times of India Group. One can explore entry-level jobs such as customer service, marketing, data entry/back office, receptionist/front office, sales, admin/support staff, call centre, cashier/billing, telesales, warehouse staff and field staff. We can’t imagine the success of e-commerce majors like Amazon, Flipkart, Snapdeal or even the local grocery vendor or dry-cleaning service without the contribution of their frontline staff. In fact, every festive season is preceded by news of bulk hiring of frontline staff by major retailers. Government estimates suggest that India has a total workforce of 47 Crore and close to 85 percent of these are in the unorganised sector. Most of these professionals take up business impacting roles such as customer service agents, delivery boys, frontline staff in hotels and hospitals, coordinators in schools or retail stores, event agency staff and the likes. Formally this sector is called the grey collar job market and constitutes about 15% of total workforce in India. Most hiring in this segment happens through referrals, poaching from competitors, consultants and job boards. Sensing this huge gap between talent available and growing business requirements, TimesJobs has embarked on a mission to bring together these employers and job seekers on a common platform. 'PocketJobs' is TimesJobs' answer to cater to this employment segment. The new website showcases more than 12,000 jobs from across industries. A big encouragement is that more than 500 employers have already registered on the site to pick candidates for their organisation from PocketJobs. 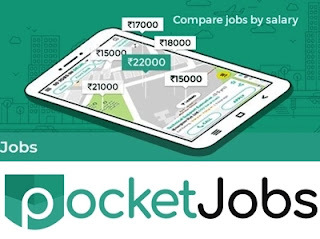 Announcing the launch of PocketJobs, Ramathreya Krishnamurthi, Business Head, TimesJobs said, "Almost 15% workforce in India is employed in the unorganised sector. Merely encouraging job creation does not help anyway; it is imperative that an empowering supply-demand ecosystem is created. We are proud to launch PocketJobs with a mission to bring in ease of recruitment and transparency in the grey collar job market. I am happy to announce that it is the first mobile-ready platform and hence jobseekers on the go can use it easily." Very easy geo map-based system which lets a candidate find jobs in a nearby location. Hence if one is in Noida's sector 18 for an interview, he can quickly browse for nearby available jobs and apply there too. A candidate can have his CV created, automatically, by quickly filling in their basic details. For recruiters, the website offers verified numbers and profiles of job seekers. Employers also get all candidate information in a standard format, which makes it easy for them to access information in one go. Discussing these features further, Sanjay Goyal, Head of Product, Technology & Marketing, TimesJobs said, "We have conceived PocketJobs with an ambitious target to sieve in all requirements of the unorganised job market in India. We have kept all elements like UI and access point very simple with an aim to make it user-friendly for this category job seekers. Going forward, we plan to make it vernacular too, to harness the talent potential of regional markets." The website is mobile ready. The app version of PocketJobs will be launched in mid-December, making it more accessible on the mobile. The site will be soon available in vernacular languages like Hindi, Tamil, and Telegu. Its Hindi version will be launched first, possibly by the first week of January 2018. Initially, the website is targeted at Delhi-NCR and will gradually increase its reach to all over India. PocketJobs primarily caters to retail, E-commerce, hospitality, food & beverages, insurance, retail and healthcare.